What Can In-Building DAS Do For You? We live in a hyper-connected society, users want to be connected at all times, and they expect to enjoy a quality data connection every time they walk into a building, be it, a restaurant, a coffee house, a hotel, a stadium, a hospital, they expect to find a reliable service for their voice and data needs. Social networks and rating services like Yelp or ReviewTrust have empowered users, and they are very vocal about bad experiences. Businesses should pay attention to the experience of their clients while they are on their premises, as bad experiences can hurt the reputation of the company. Some locations experience significantly more cellular data usage than others. Some of the most common places where a DAS installation can be of use are shopping malls, airports, convention centers, stadiums. In these scenarios we are usually dealing with capacity issues: there are just too many users concentrated in a small area to provide quality voice and data services with the standard infrastructure. Another scenario in which a cellular DAS installation is usually required are areas with low or unstable signal coverage. 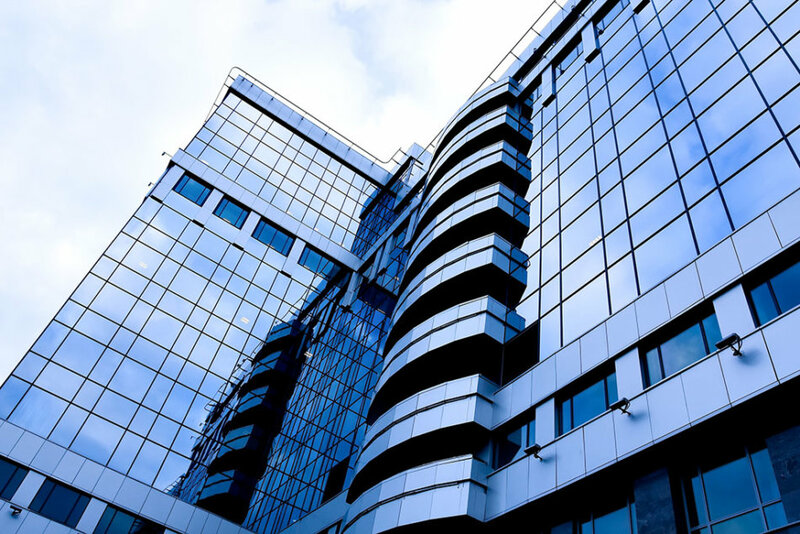 Building materials like Low-Emissivity (low-E) Glass used in the construction of energy-efficient buildings can significantly reduce the signal strength inside buildings. In recent years, several states and municipalities nationwide, have been enforcing building codes from the International Code Council and the National Fire Protection Association requiring large commercial buildings to provide cellular and radio coverage for public safety purposes. A correctly installed cellular DAS ensures that first responders can communicate with each other and assist people who are in need of lifesaving help. This is the most critical step in the process, a proper understanding of your requirements will help our team analyze the right alternatives. During this phase, several meetings will be held to examine your needs accurately. After the initial requirements have been discussed, the system design will be put together. If the DAS installation is going to be performed in an existing building, a site survey should be conducted to evaluate the current conditions of the building. Our experts will need access to building floor plans, and we will use specialized equipment to test the quality of the signal and RF interference. The site survey will include the review of aspects like telecom room and closets, risers, interior walls, roof, etc. If you’re considering the DAS installation for a new building, our experts recommend that a preliminary RF design is included with the initial building plans. A provisional RF design can provide the best estimation of RF penetration based on the structure, materials and floor plan of the building. Even if there is no immediate plan to install in-building cellular infrastructure, it’s still ideal to include the cable and fiber runs in the initial building plans in case a mobile wireless infrastructure is needed in the future. This will ensure that the costs of having to retrofit later on are avoided. Once a venue is up and running, the cost of pulling cables increases even more due to its impact on business operations. If the objective of the In-Building DAS system is to improve the wireless user experience, access to licensed frequencies from mobile operators will be required. Our experts will help you do the coordination with mobile operators. The coordination with mobile operators is usually a long process, which often goes overlooked by unexperienced DAS installation companies. We recommend that this process is started early in the implementation process, this will help avoid any conflicts with the standards and processes of the operator’s networks and reduce potential delays in the project. During the installation phase, our technicians execute tests of the components as they are installed, but it is essential to complete a comprehensive system test to ensure the whole system is performing as expected. After successful testing, the Distributed Antenna Systems (DAS) is ready to become operational and help mobile users access their network confidently, inside your building. Also, during this stage, our technicians make sure everything is in place, and the DAS solution is operational, and users can have an optimal mobile experience throughout the building. Once the building’s new DAS system is operational, it is critical to have a system monitoring and maintenance plan in place. This will ensure that your service is operating optimally and is uninterrupted. As we have shown, In-Building DAS may be an imperative for some businesses. Compliance with regulatory requirements may also be a driver for installing DAS solution. Decypher Technologies experts can help you design and install the right Commercial DAS solution for your business. Our cellular services enable our clients nationwide to enjoy cellular coverage in the comfort of their home or office where none was previously available. The possibilities go far beyond home and work—yachts, hotels, and campus environments also benefit greatly from our cellular solutions. We have many happy customers using distributed antenna systems (DAS) — the best solution for improving cellular and radio coverage in buildings and for boosting cellular coverage where cell signal is weak or nonexistent. Do you constantly drop important calls where you need to be connected most? Learn how we can help you make the most of your cellular coverage—call us today.